Please let me know the meaning of this (hall)mark and the time period ? 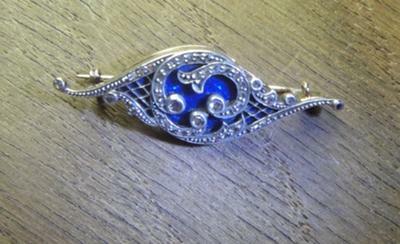 You give me already an answer on my questions about two brooches. But please give me more information. 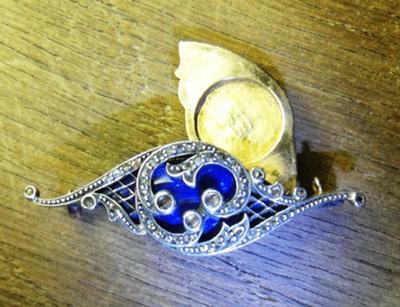 The hidden place of this beautiful brooch is so little. Have you any idea of what it is for? And do you have also an idea of what period of time this could be? 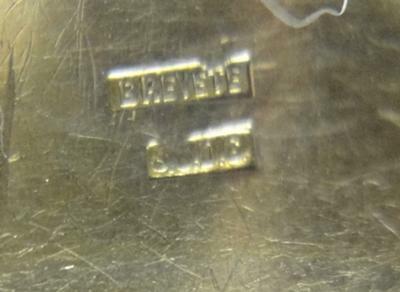 I enclose some pictures to show the brooch and the mark. It is the only mark I can see. I tested the brooch on the little diamonds as rose cut diamonds.